Fire Protection Systems Houston: Why Does Fire Change Colors? Why Does Fire Change Colors? Have you ever noticed how different parts of a flame are colored differently? If you start a fire, the bottom of the flame is typically a blueish-color, while the top of the flame is a bright orange color. Why is this true? Well, one of the main ways to answer this question can easily be answered by looking up. Up? Yes, up at the stars! By glancing up at the night sky, you can gaze up at the stars and understand how temperature can change an object’s colors. To answer why flames change colors, we have to understand how stars change colors. As you might remember from your sixth-grade science class, stars are made up of hot gases millions of miles from Earth. Despite their distance, we can see the light and color that the stars give off. You may have noticed that not all the stars look alike. For instance, you may see a yellow star, a blue star, and even an orange star. Star colors stem from “black-body radiation”, which is the same radiation you might see when metal is heated to high temperatures. The orange glow on the metal is the black-body radiation in work. Though black-body radiation works on heat metals and the stars, the colors in flames isn’t always due to temperature, although that is a big part of it. For example, the orange glow you see in the actual top of a flame is the presence of a particular substance. If you see a bright orange glow, this will mean that there is sodium that is being heated. Blue flames in your fireplace can mean that carbon and hydrogen are present. And, if there are copper compounds the flame will turn green or blue; lithium will also change the flames to a reddish-color. As discussed earlier, flame color can be determined by temperature. The hotter the flame (or star) the bluer it will appear. With flames, it is important to see what color the flames are in order to determine how hot it is. Of course, all flames can be damaging, but at least by knowing the color of flames, you will be able to determine what specifically is burning and how hot it is burning. For instance, alcohol is very flammable and can ignite almost instantly. When certain alcohols are ignited, such as methanol and ethanol, the flame will appear to be a pale blue color. The changing of flame color due to temperature is called incandescence, which is how you can be able to tell what materials they are. If you have a functional fire alarm or sprinkler systems in place, the sensors will detect the fluctuation in room temperature long before you will. Oxygen supply can also adjust the color and strength of fire. If oxygen is in short supply, the fire will be dim and smokey. Not only that, but the color of the flames will be a red color. The more oxygen that is supplied to a flame, the hotter and brighter it will be. When a fire has an ample supply of oxygen, it will show is distinct orange and even white-color. This is important to remember, as a “perfect” supply of oxygen will keep a fire burning. If you want to put out a fire, you will need to cut off its supply of oxygen. Why Is Flame Color Important? It is important to know the colors of flames so you can determine how hot the flames are in order to put it out. Hotter, blue flames are more difficult to put out that orange or yellow flames. Incandescent color ranges allow you to predict the danger level of a situation, without being too close to the actual flame. This type of information is important to consider if you are faced with a fire hazard. 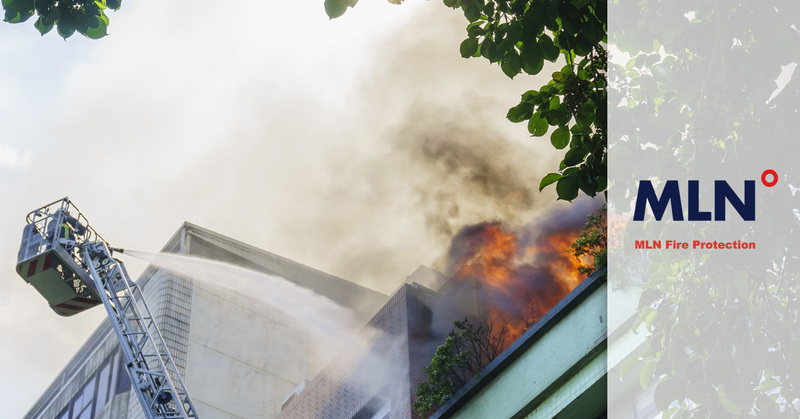 If there is a fire in your home or business, it is best to call the authorities to put out the flames. 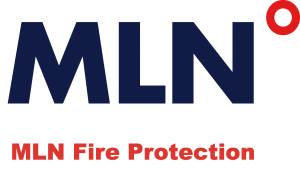 At MLN Fire Protection, we take fire safety very seriously. 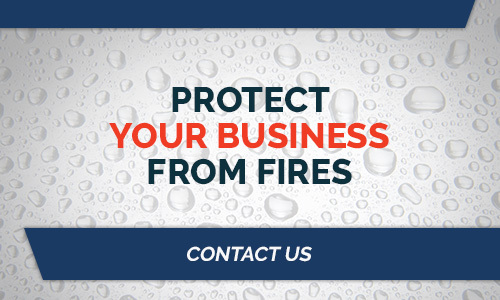 With our help, we can ensure that your residence or business is well protected against a fire threat. With fire sprinkler systems, alarms, and much more in place, you can be reassured you will be alerted of immediate danger.